However, many kids continue to rely on their fingers as their primary computation tools once they move on to mastering addition and subtraction. It is at this juncture that finger counting becomes problematic. While this computation method can be effective to an extent when working with small numbers, it ultimately stifles a child’s mathematical development by keeping them in the limiting headspace of one-by-one counting. As such, finger counters soon find that this technique quickly becomes cumbersome, inefficient—and more often than not, inaccurate—once they start working with bigger numbers. It is far more effective in the long term to encourage students to develop numerical fluency. What is numerical fluency? It’s a student’s ability to recall basic number facts mentally and effortlessly by way of developing frameworks for learning. For instance, a fundamental cornerstone of numerical fluency is learning to see and work with numbers in groups mentally rather than one by one. Let’s look at some examples of numerical fluency in action! Let’s try 7 + 8! In this situation, our friend, the number 10, comes in handy once again! How far apart are 13 and 9? Well, 9 is 1 away from 10, and 13 is 3 away from 10. Add the differences together and you get the answer, 4. This is far more efficient than thinking, “13 – 1 – 1 – 1 – 1 – 1 – 1 – 1 – 1 – 1”! When children transition to techniques beyond using their fingers for computation, their confidence with counting and numbers in general will grow exponentially, and their ability to handle larger numbers effortlessly will follow. As time progresses and they bid farewell to basic addition and subtraction practice, numerically fluent students will find it easier to tackle more complex operations like multiplication and division. While building numerical fluency won’t happen overnight (it requires steady, consistent practice working with these frameworks over time), students will continuously reap the benefits of becoming stronger, more nimble problem solvers and mathematical thinkers … long after they close the books on elementary math! Achieving numerical fluency is a critical step on the path toward developing solid number sense—an intuitive, logical understanding of how numbers work. 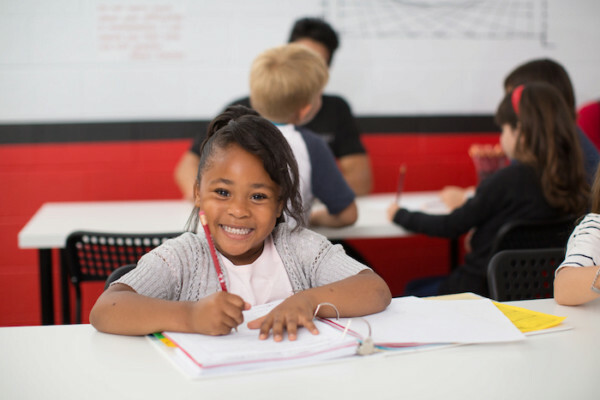 Mathnasium offers personalized programs designed to help students of all ages develop numerical fluency. Contact your neighborhood math experts to learn more!